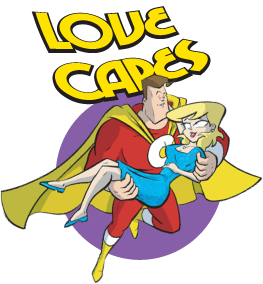 After the successful five-issue Love and Capes: Ever After miniseries run at IDW, to be collected this fall as Wake Up Where You Are, Thom Zahler has announced on Twitter that the publishing relationship is continuing. Love and Capes: What to Expect will cover the next major milestone in a couple’s life: pregnancy. I can’t wait to see how Zahler handles the possibility of a super-baby! It will run six issues, debuting in 2012. Since this is my favorite comic series, I’m thrilled to hear more is due.